The year is 1945. VE Day marks the end of World War II, actor Martin Shaw and singer songwriter legend Van Morrison are both born. And in May of that year, on exactly this week, the first in a new series of books for children called ‘The Railway Series’, charting the lives of a team of steam locomotives on a fictional island somewhere in the Irish Sea, written by a Hampshire based vicar to entertain his young son who had the measles, was published. 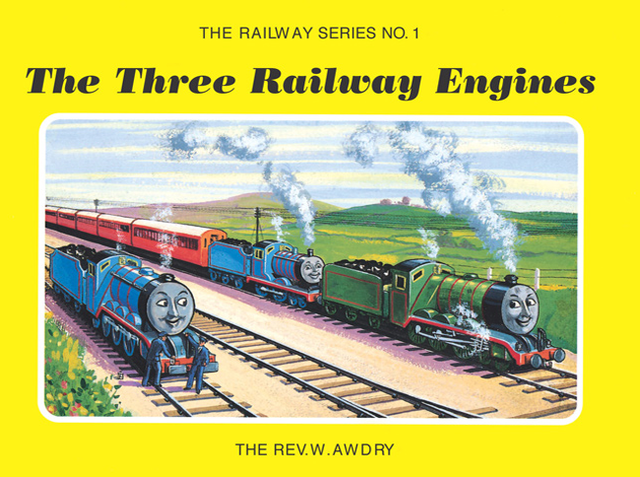 ‘The Three Railway Engines’ (pictured above) was an instant success, but it wasn’t until a year later, when the second of the books arrived, that the series’ most famous character of all, Thomas the Tank Engine, would be introduced. His adventures, along with those of his friends – Gordon, Henry, James, Percy, Toby and Duck to name just several – entertained young British audiences for a total of 26 volumes by the Rev. W. Awdry until 1972, when the final book in the series ‘Tramway Engines’ was published – a significant point in British rail history as most railways began to become nationalized. 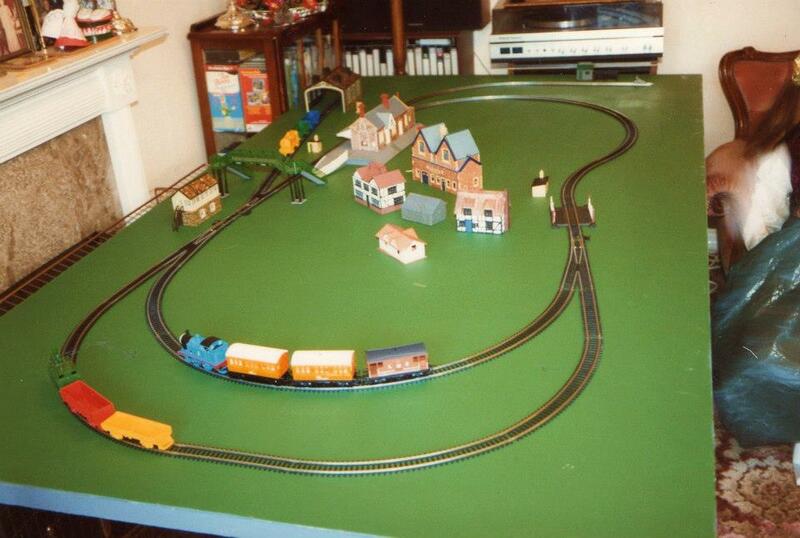 A decade later, whilst researching for a TV documentary about the history of British steam, a Southampton based TV executive, Britt Allcroft, remembered the books from her own childhood and set about enquiring with the Awdry estate into turning the much loved tales into a TV series. 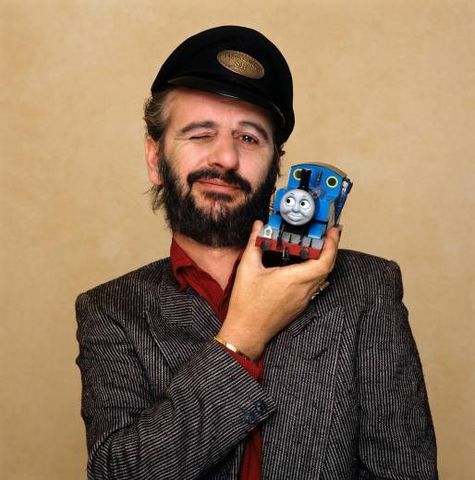 Two years later in 1984, the end result was broadcast, as ‘Thomas the Tank Engine & Friends’ debuted on Children’s ITV that autumn to rave reviews, and received an estimated audience of 6 million viewers a week along with a BAFTA nomination. A charming mix of live action animated models in the same bright, colourful, storybook world of the books crossed with the easy to make backdrops of an average model railway kit, plus a truly thrilling score composed by session musicians Mike O’Donnell and Junior Campbell along with narration by Beatles drummer and rock legend Ringo Starr, immediately placed the series into the hearts and minds of the nation for years to come. I was born some 5 years after the original series first aired, but up until about the age of 7, Thomas and his friends held a special significance not just in part of my growing up but that of my family’s too. My sister and I recollected fondly this week about the Ladybird tie-in book from the series our late grandad bought as a present for her of the story ‘Percy Runs Away’, which was always her favourite if not for her reaction when he asked her what had happened when Percy had run away from a near collision with Gordon and was diverted into a siding with a bank of earth (‘He fell over, grandad!’). For me, it was being bought a VHS of stories from the show called ‘Thomas, Percy and the Coal’ which I watched on continuous, joyful loop and as a result, soon learnt how to operate the VCR all by myself with – which I’m sure must have driven my poor mum round the bend. Every birthday I had up until about the age of 7 I collected the little ERTL die cast models, and for Christmas, when I was 4 and my eldest sisters were both getting a new keyboard each, I got the best present the Thomas loving me could wish for when my dad bought me a clockwork set of Thomas with Annie and Clarabel and set up my very own little Island of Sodor. Even seeing the picture of it now makes me feel like an excited toddler all over again. 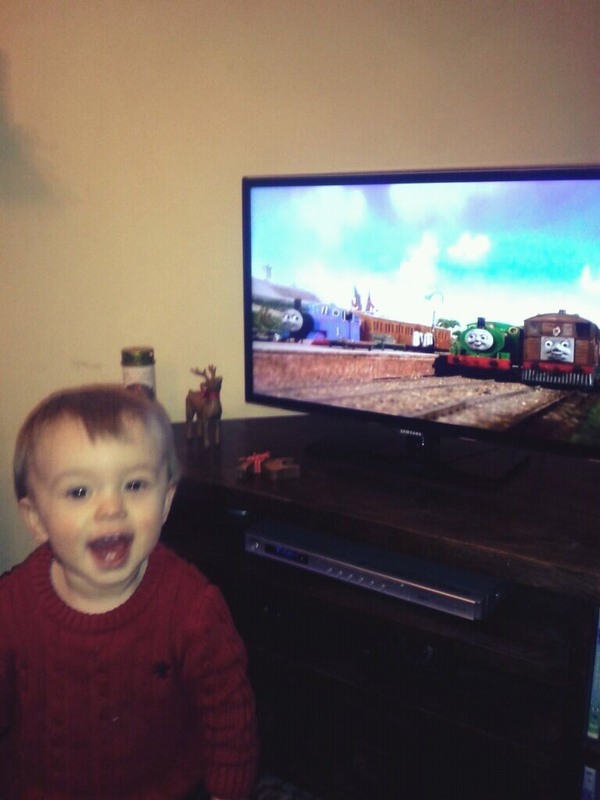 It’s not until recently that Thomas has factored back into my remit again, largely through now being an uncle and watching my nephew Fin get just as excited by watching it – the below is a picture I took of him last year, watching the very same episode that even now I can memorise off by heart from those repeated VHS watches I made some 20 years previously – ‘Thomas, Percy and the Coal’. He seems to prefer the newer, CGI animated version of the show which airs on Channel 5’s ‘Milkshake’ block of shows on weekday mornings more than the one I grew up on, but I can’t tell you what a thrill it is that he’s now into it and just as excited by it as I was. And that, really, is what’s made the appeal of Awdry’s stories – boosted largely by the TV series – last for as long as they’ve been going. 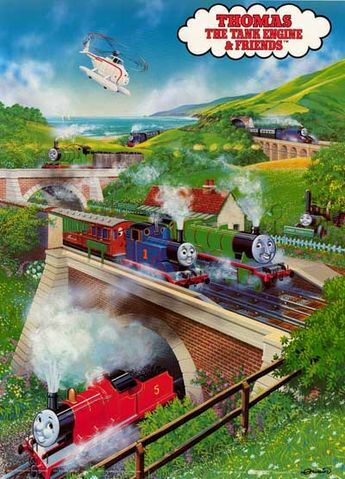 Thomas and his friends’ adventures remain one of the few wide appealing cultural artefacts that, even with the very nature of their existence from the golden age of steam rail travel, can transcend any fad or fashion that has come before or since, whether it was four year old me in 1993 or my 2 year old nephew now in 2015. So congratulations on 70 years to Thomas – and here’s hoping he steams on for another 70 and more.